Barbara Johnson, widely known as The Fish Lady, creates and cares for the most extraordinary Koi ponds in Hollywood. Her client list reads like a Who's Who of the rich and famous, and includes such luminaries as Tom Cruise, Lew Wasserman, Aaron Spelling and Steven Spielberg. This is just a short list of the ponds that The Fish Lady cares for in Los Angeles and Beverly Hills. People come to The Fish Lady first and foremost because of the years of Pond Maintenance experience she brings. The Fish Lady has been caring for Los Angeles Koi Ponds for 27 years, and has a total of 32 years experience with her own Koi Pond. 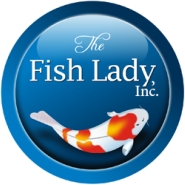 When it comes to Pond Maintenance in Los Angeles, nobody does it better than The Fish Lady, as she continues her education by attending various fish health seminars either at the University of Georgia/Athens Vet Department or North Carolina University and has received numerous certificates for Continued Education in the field of Koi Health Management and General Fish Health Management. Few other companies make this effort, or commitment to excellence. 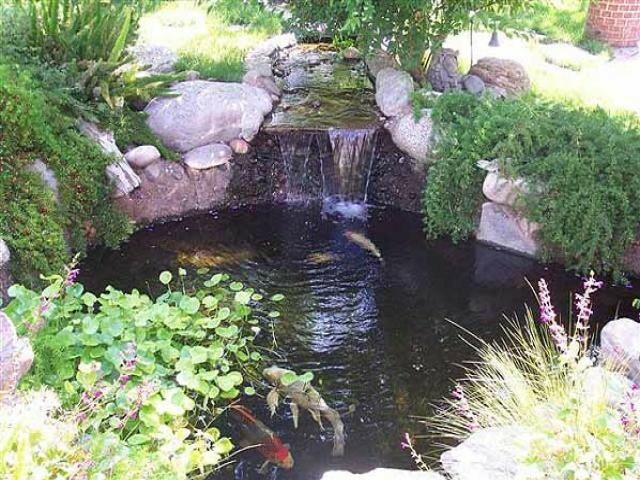 Expect the best, and settle for nothing less than the best when it comes to your Pond Maintenance in Los Angeles. Always remember, a Koi Pond is much more than a backyard water garden feature, it is a living, breathing eco- system which requires the expertise of a Pond Professional. A good landscaper is NOT a good substitute for Proper Pond Maintenance in Los Angeles.